We're specialists property, retirement living, professional services and investment management. Credible leader in the next generation of retirement village developers and operators. 55 years’ experience in property funds, real property assets and end-to-end development. Nick has a track record of building strategic relationships and leading teams to deliver profitable outcomes across disciplines and geographies. He has a strong network of corporate, multinational and sovereign relationships, having worked in Australia, New Zealand and extensively across Asia. 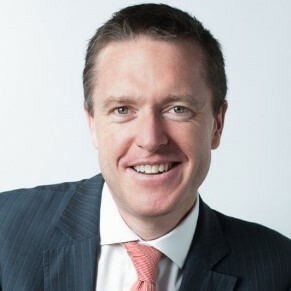 Nick is Managing Director & CEO for Australia and New Zealand of New Hope Group Co. Ltd, a leading private Chinese industrial company, with operations in over 30 countries. New Hope Group Co, Ltd has annual sales of more than $15bn, with operations in Australia in real estate, dairy and beef. Nick’s immediate prior role was Chief Executive Officer of UBS Grocon Real Estate, a real estate investment and asset management joint venture between UBS AG and Grocon Group. At UBS Grocon, Nick helped establish a platform of +$700m of assets under management. He was also a Managing Director of UBS Australia in the Asset Management division. Previously, Nick had a 22-year career in investment banking, working at Goldman Sachs, JPMorgan and Morgan Stanley in Australia and Asia. His investment banking experience includes Agribusiness, Chemicals, Diversified Industrials, Healthcare, Developers & Contractors, Building Products, Construction Materials and Oil & Gas. He has also worked in TMT and Financial Institutions.